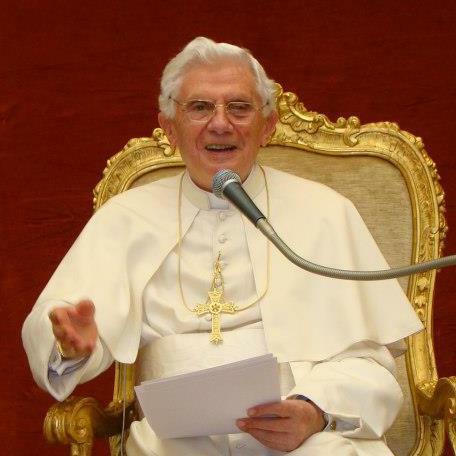 For me, one of the great things is that Pope emeritus Benedict is still very engaged spiritually and intellectually in the life of the Church. It comes, I firmly believe, from his attraction to the spiritual life and the life of the intellect. When he retired from the petrine ministry he had indicated that he would not be too visible to the Church. 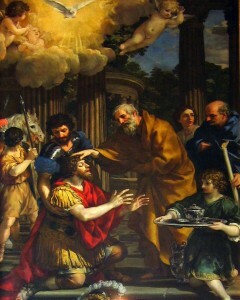 He has, on occasion, been to Mass in the Basilica of St Peter and visited with others. Now, his has given the following interview gives good perspective for us on belief and discipleship. In a recently published interview on issues of justification and faith, Benedict XVI has addressed issues of mercy and our need for forgiveness, salvation through the cross, the necessity of baptism, and the importance of sharing in Christ’s redeeming love. The discussion with Fr. Jacques Servais, SJ, took place ahead of an October, 2015 conference in Rome studying the doctrine of justification by faith. Benedict’s answers, originally in German, were read aloud as a text at the conference by the Prefect of the Pontifical Household, Archbishop Georg Gänswein. They were later published as the introduction to a book in Italian on the conference texts and conclusions, titled “Through Faith: Doctrine of Justification and Experience of God in the Preaching of the Church and the Spiritual Exercises,” by Fr. Daniel Libanori, SJ. He emphasized that both faith and the Church come from God, and are neither self-generating nor man-made. “The Church must introduce the individual Christian into an encounter with Jesus Christ and bring Christians into His presence in the sacrament,” Benedict remarked. He then focused on modern man’s tendency to ignore any personal sin and need for justification, and to focus instead on the suffering in the world, believing that God has to justify himself for this suffering. “However, in my opinion, there continues to exist, in another way, the perception that we are in need of grace and forgiveness,” he said, pointing to the recent emphasis on mercy in the pontificates of both St. John Paul II and Pope Francis. He discussed how an old understanding of the Cross, articulated by St. Anselm, is difficult for modern man to relate to because of its focus on justice and its apparent juxtaposition of the Father and the Son. The discussion then turned to the missionary impulse, which was once informed by the conviction that all who died unbaptized would certainly go to hell. He noted that the great missionaries of the 1500s were compelled by their belief in the absolute necessity of baptism for salvation, and that the changing understanding of this necessity led to “a deep double crisis”: a loss of motivation for missionary work, and a loss of motivation for the faith itself. The emeritus Pope addressed both the theory of the ‘anonymous Christian’ and indifferentism as inadequate solutions to the crises, and offered instead the idea that Christ’s loving suffering for the world is the solution, which must become our model. O glorious St. Paul, who from a persecutor of Christianity, didst become a most ardent apostle of zeal; and who, to make known the Savior Jesus Christ unto the ends of the world, didst suffer with joy imprisonment, scourging, stoning, ship-wrecks and persecutions of every kind, and in the end didst shed thy blood to the last drop, obtain for us the grace to receive, as favors of the Divine Mercy, infirmities, tribulations, and misfortunes of the present life, so that the vicissitudes of this our exile will not render us cold in the service of God, but will render us always more faithful and more fervent. Amen. The 25th of January this year is a Sunday so the feast is not commemorated in the NO Liturgy but a clued-in preacher will be able to link the Scripture readings with Paul’s move from persecutor to Apostle of Jesus Christ. 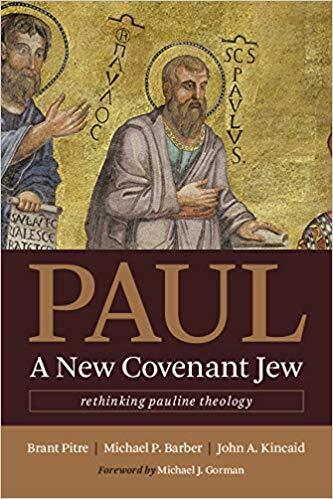 The missionary impulse of the Church needs to follow the paradigm we find in Paul: meet the Lord first, know and love the Lord, and then share call to holiness to all nations. It is said that one of our late Benedictine abbesses said, “All I have is what I love!” This is what learned in homily today at Vespers. A true judgment of man’s spirit and humanity. It is a touchstone in understanding who each of us is before God and others. The question” What do I love?” needs to be asked and answered daily. In fact, that is what happens in the daily Ignatian Examen. The discovery in answering this question is a work. But as fragile people we are easily distracted; we can fool ourselves by making excuses, and rationales get in the way. Still, “What do I love” requires a concrete answer. What specifically do I love? Deeper down, a love holds my heart? 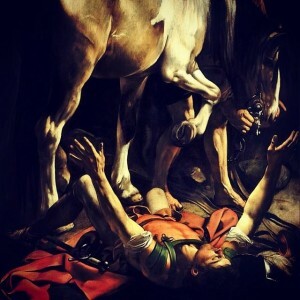 St Paul’s letter can remain in the abstract and useless without going deeper in ascertaining the meaning of the various points the Apostle raises viz. our experience. Hence, we have to ask: What do I think is true? What is does it means to act honorably? What difference does purity make? What does the word gracious mean to mean? It seems that this matter one of several keys for the spiritual life, and not mere word-smithing and academic argumentation. What it does necessitate, I have learned, is a disciplined focus of mind and heart in working with divine revelation.